Letters to my friends: Oil Pulling Therapy.... Day 1. Oil Pulling Therapy.... Day 1. If you've read my post about How I spent my week and my Saturday night - you know that I only use "kitchen" products for my skin, hair, and teeth - and that I love to use coconut oil for everything. Well... I found another use for it.......Has anyone tried Oil Pulling? "As simple as it sounds, if done correctly it has a very powerful cleansing and healing affect not only on the mouth and sinuses, but the entire body." "The first thing that most people notice when they start oil pulling is an improvement in their oral health. Teeth become whiter, breath becomes fresher, and the tongue and gums take on a healthy pink color. Even problems such as bleeding gums, tooth decay, and gum disease are greatly diminished or completely healed." "Oil pulling traces it roots to oil gargling practiced in Ayurvedic medicine. Oil pulling as we know it today, was introduced in 1992 by Dr. F. Karach, MD. Dr. Karach claimed that oil pulling could cure a variety of illnesses ranging from heart disease and digestive troubles to hormonal disorders. He said it cured him of a chronic blood disorder of 15 years duration and within three days it cured his arthritis, which at times was so painful he was bed ridden. He used the method in his medical practice with great success." "The oil acts like a cleanser. When you put it in your mouth and work it around your teeth and gums it “pulls” out bacteria and other debris. It acts much like the oil you put in your car engine. The oil picks up dirt and grime. When you drain the oil, it pulls out the dirt and grime with it, leaving the engine relatively clean. Consequently, the engine runs smoother and lasts longer. Likewise, when we expel harmful substances from our bodies our health is improved and we run smoother and last longer. 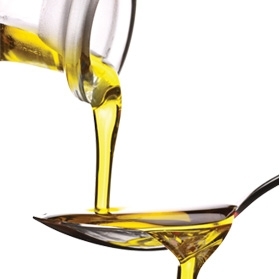 As simple as it is, oil pulling has a very powerful detoxifying effect. Our mouths are the home to billions of bacteria, viruses, fungi and other parasites and their toxins. Candida and Streptococcus are common residents in our mouths. It is these types of germs and their toxic waste products that cause gum disease and tooth decay and contribute to many other health problems including arthritis and heart disease. Our immune system is constantly fighting these troublemakers. If our immune system becomes overloaded or burdened by excessive stress, poor diet, environmental toxins and such, these organisms can spread throughout the body causing secondary infections and chronic inflammation, leading to any number of health problems." Hahahaaa - I want to see the notes!! What an interesting idea. I am assuming you have tried it, let me know if you notice any results. Another thing I use coconut oil on is my bike chain and spray the joint area and ends when my pedals get crunchy as I do not know how to change my bearings and that usually helps get me a smoother ride till I can get to the repair shop. I was told that coconut oil helps prevent rust and that coconut oil presses presses do not get rust on them because the oil prevents both oxygen and water from coming into contact with the metal, preventing oxidation. Thanks for the tips, Laurie! Lara used some coconut oil on the track for the sliding screen and glass doors, too - and I'll definitely be giving my bike chain a little spray down now, for sure. Coconut oil is the best, stuff. EVER. I havent been super consistent with the oil pulling - I've only done it 3 mornings so far - but my teeth do seem to be a little whiter already (I could be imagining things) and I stopped bleeding when I brush my teeth - which was the whole reason I looked into it in the first place, since I'd like to avoid going to the dentist. I just had one area (where I had had a root canal) that was a problem, and it seems totally fine now. 2 years! That's awesome - have you noticed ant improvements to your overall health, or just in your mouth? I've not been able to make it a regular habit yet, but I'm still doing it when I remember and trying to make it a more regular part of my routine. Good to know your experiences with pulling Carrie and Mandy. I managed a few days of doing it first thing in the morning then fell off the wagon. Do you know my spot? San Pedro - Carnaval 2013!